Looking forward to the tag of the new operating version of code_aster for mid-June as every year? Looking for the package "aster-full" to compile this new version? More of a Salome-Meca adept waiting for its release in July? You’re eager to try AsterStudy, the new Graphical User Interface for code_aster in Salome-Meca? Good things know how to be desired and you will have to wait a little longer. Explanations in this article. We attach great value to quality: whether it is within the development process or in the different versions of code_aster that are distributed. It is a necessity for any FEA software, more particularly when it is used in the nuclear field. Several obstacles prevented us from stabilizing versions 12.8 and 13.4 of code_aster on all the platforms usually used in the development process: a supercomputer of the TOP500, a scientific workstation and a 32-bit computing cluster. To maintain the quality of these versions of code_aster - notably the assurance that no test case is broken on each of the target architectures - it was therefore decided to postpone the stabilization date of versions 12.8 and 13.4. 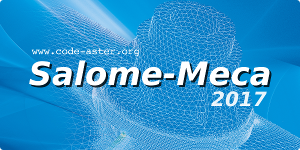 This also leads to postponing the release of Salome-Meca 2017, of which code_aster is a prerequisite. The new deadlines for code_aster and Salome-Meca are shown in the following table. The aster-full package for version 13.4 (or 14.0) should be released later (probably not before September).